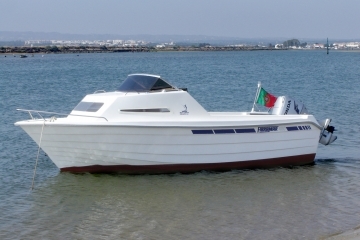 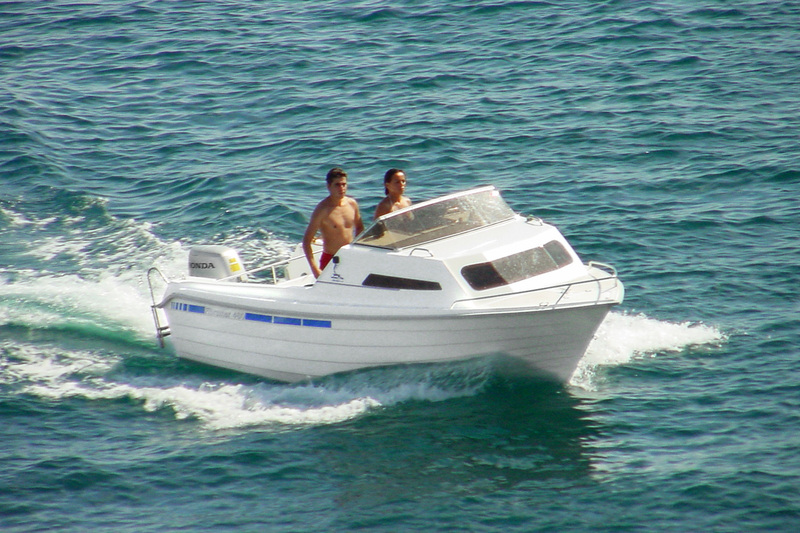 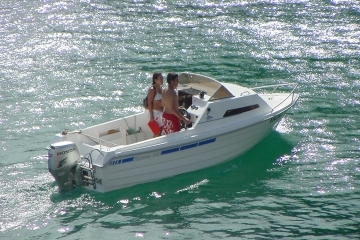 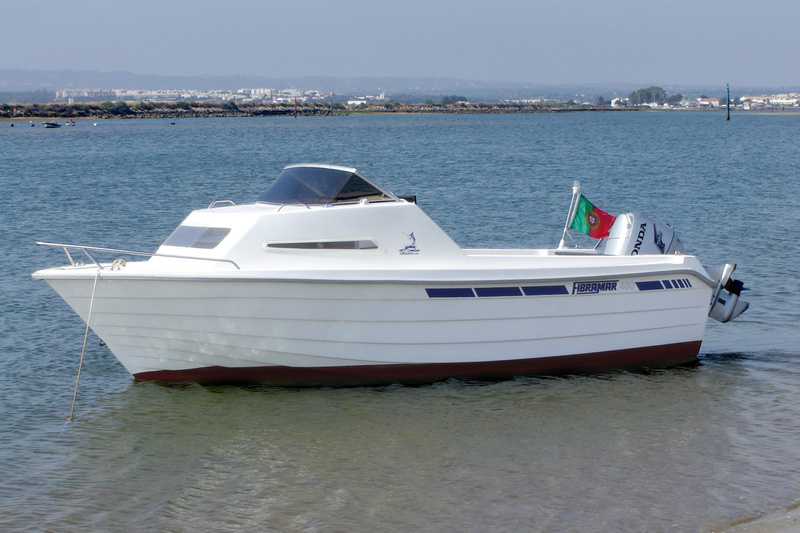 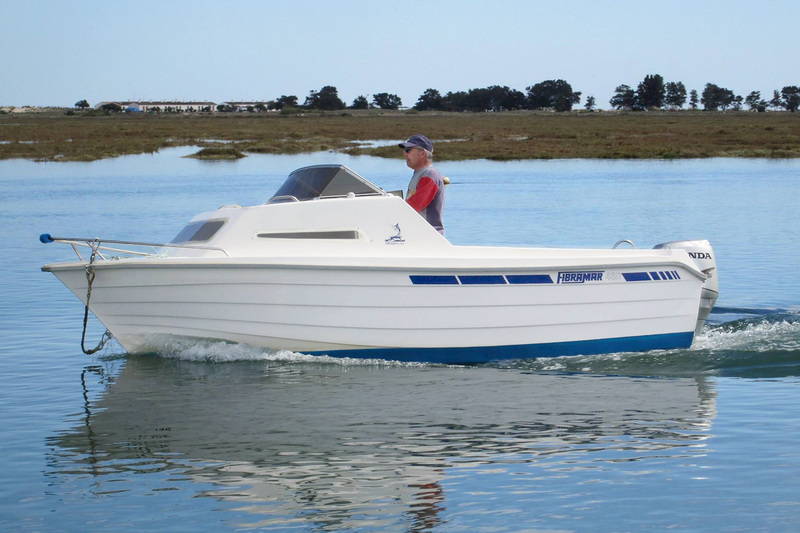 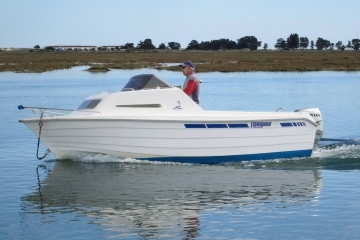 Directed to those who look for a compact, versatile and very practical vessel. This version was designed for the boat to be used in different navigation programs, in order to serve both the family and the fishing trips. 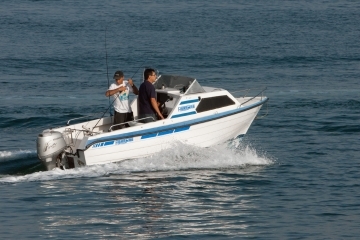 Therefore, there is a balance between the size of the cabin and the space for fishing. 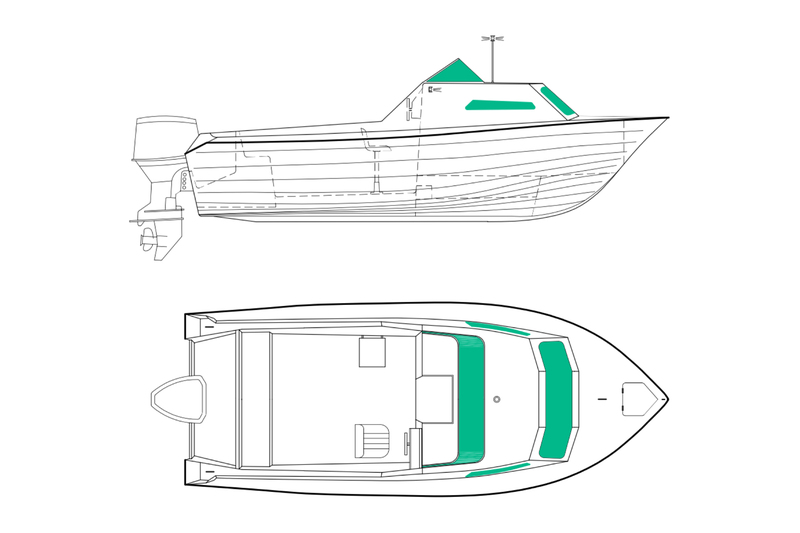 Cleats, skene bow chocks, U-bolt bow eye, bow rail, embedded benches at the stern, foldable ladder, bow roller, compartments for storage at stern with locks, self-draining anchor locker, non-slip deck. 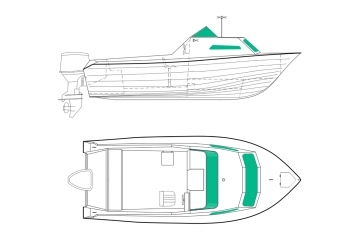 Color of the hull, side handrails, transom rail, rod holders.